Septic tank pumping is a wise investment for homeowners in Bellevue because it can save on costly repairs to your septic system. While the recommended frequency for septic pumping is generally every three to five years, it is dependent on the tank size, the usage, or number of people living in the household, and the type of tank. Call us for septic pumping, septic tank cleaning, maintenance, repairs or installation. 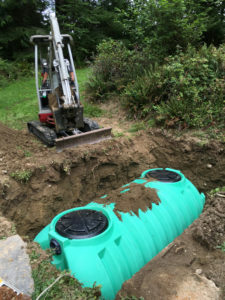 One of the key elements of maintaining a well-functioning septic tank system is regularly-scheduled septic pumping and cleaning generally every three to five years to avoid future costly problems. 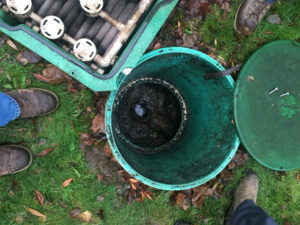 There is also great value in routine septic tank maintenance to ensure timely removal of solids and an opportunity for our service technicians to check the components of the tank for any problems. An inspection is best accomplished following septic tank cleaning. Our cost for septic tank pumping will far outweigh the cost to repair or septic tank installation excluding the time consuming process and cost for landscaping. Call us for a free estimate for septic pumping services. Or if you need emergency service we are available for 24-hour emergency work. Why Should Bellevue Residents Choose Us for Septic Pumping? We have technicians expertly trained in septic tank pumping, septic tank cleaning, repairs, drain field maintenance and repair, pipe video inspections, and drain cleaning. Whether you need emergency services, or simple routine maintenance, we are available for 24-hour service and emergency work.